What to do if I've missed a payment? Until recently ‘Instant Decision credit cards’ were something of a myth due to the credit checks that any reputable lender should conduct before giving credit. Fast and simple online application. Get an initial credit limit from £150 to £1,000. Bank on the move with the Vanquis Bank App. Grow your credit limit up to £4,000. *To build your credit rating and be considered for credit limit increases, use your card sensibly, stay within your credit limit and pay your monthly minimum payment on time. Not doing so could harm your credit rating and make obtaining credit more difficult. An Instant Decision on Credit. Does it exist? If you need credit quickly you are probably looking for instant decision credit cards or instant approval credit cards. Many credit card lenders now offer an ‘Eligibility Check’ service which allows you to enter the minimum information they require in order to give a strong indication about your chance of acceptance. Crucially this check does not effect on your credit rating, which is particularly important if your credit rating is less than ideal and a recent decline showing would only make your credit history look less appealing. It’s important to note that any reputable lender is unlikely to give an unconditional ‘guaranteed acceptance’ based on the eligibility check alone, as there are typically fraud and verification checks which may need to take place and may not be possible to complete instantly. However the vast majority of people should get a strong degree of certainty before they decide to commit to completing their application. 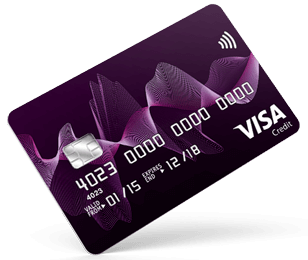 Vanquis Visa is a credit card accepted in thousands of stores and online in the UK and across the World. Vanquis will consider also applications for credit from people with poor credit looking for ‘credit cards for bad credit instant decisions’ or ‘instant credit card approvals’. Vanquis Bank, a credit card company based in London, Chatham and Bradford, has already accepted over 3.5 million (correct as of September 2017) people for credit cards in the UK. As we’ve explained above, instant decision credit cards have some confusion surrounding them. Any lender who gives you credit, in other words not a pre-paid card or secured card where you are really just loading the card with your own cash, will run a credit check. Credit checks will be made to see whether you have failed to make payments or missed payments on loans or cards in the past, or whether there are any County Court Judgements (CCJs) or bankruptcies against your name. A credit card provider may contact you stating that you have been ’pre-selected’ for a credit card. The ‘pre-selection’ is typically based on your credit rating, although the credit check that is carried out will not leave any record on your credit history but ultimately they won’t have all the information to give a high degree of certainty as to acceptance until they’ve got all of the information collected during their application process. In the modern age it’s common to expect everything to be instant. However it’s worthwhile remembering that all forms of borrowing should be considered carefully as unaffordable debt can have severe consequences for your financial future. Although eligibility checks are a good way to give an indication of chances of acceptance, it shouldn’t tempt you into hasty decisions. Most reputable lenders will probably have additional steps such as additional fraud/affordability checks or a welcome call to explain how the service works and provide useful information before final acceptance and the card can be issued, which all helps to ensure the right products are given to the right people. You can simply fill in the quick online application form on the Vanquis site. Provided you have all the details to hand, it should only take a few minutes. To build your credit rating and be considered for credit limit increases, use your card sensibly, stay within your credit limit and pay your monthly minimum payment on time. Not doing so could harm your credit rating and make obtaining credit more difficult.